The Somatic Healing Method is a revolutionary system for helping people to heal from injury, pain and disease. This 3-day experiential workshop encompasses 5 proven techniques, live demos and practice sessions. Participants can experience and learn to utilize hypnotic techniques to access powerful healing resources within. Qualified participants can receive certification as a Somatic Healing Practitioner. Endorsed and practiced by multiple therapists around the world as an effective way to complement primary medical care, Somatic Healing training is now available both in person, AND for remote learning participants. Anyone can attend in person, or LIVE via the internet, wherever you are located. Enroll with a friend or partner and save! See details below. Hypnotic Movement is a process of tuning into your body and allowing it to move in its own unique way in a light trance state, to unwind physical traumas (like auto injuries), reduce swelling and inflammation (sciatica and arthritis), and eliminate pain. Total freedom from pain in 45 minutes. Comparable to having a brand new leg. Richard Willis, CHT. Open to everyone. Continuing education units and certification as a “Somatic Healing Practitioner” are available for nurses, hypnotherapists and other qualified healing arts professionals. This is also offered as a personal growth class to anyone who wants to learn and experience effective techniques to help heal their own body. Bring your aches and pains! Participation in all 3 FULL days of this intensive course is required, so be sure to clear your calendar. June 28 to 30 - 3 days - from 9am to 6:30pm (Pacific) each day. Remote students must register by June 21, 2019. Each day begins with an interactive lecture with David Quigley and continues with fun exercises, live demonstrations, practice, discussion and lots of opportunity for Q+A. Attend on your own for personal growth, from the comfort of your home or office – via Zoom. While following along in the workbook you’ll observe the demonstrations and learn new skills and techniques that you can begin to practice on yourself right away and every day on your own, to accelerate healing and recovery, eliminate pain, eliminate side effects of medication, and so much more. Fully participate in the discussion and Q+A. Learn powerful tools to last a lifetime: witness miracles of healing from sickness, chronic pain or disease. Remote students must register by June 21st. Attend with a partner for the ultimate experience. You and your friend are supported and guided in your practice and healing sessions throughout the weekend by David Quigley and Nora Hoffman, a highly skilled Alchemist and qualified training assistant. While following along in the workbook you’ll witness the demonstrations, learn new skills and techniques that you can begin to practice right away with your friend and every day on your own, to accelerate healing and recovery, eliminate pain, eliminate side effects of medication, and so much more. Fully participate in the discussion and Q+A. Learn powerful tools to last a lifetime: to help heal from sickness, chronic pain or disease. Remote students must register by June 21st. NOTE: Qualified participants (nurses, hypnotists and healing arts professionals) can receive certification from the Alchemy Institute as a “Somatic Healing Practitioner” for an additional $40; includes an optional free listing in the online Practitioner Directory. If you are local, you can join David Quigley and Nora Hoffmann and the class in person, in the Santa Rosa CA office. (567-A Summerfield Rd, Santa Rosa CA 95405.) Click the "Buy Now" button to enroll. TO SAVE 20%: Enroll with a partner for only $384 each or a total of $768.00. Contact us to enroll for the in-person class with a partner, by clicking here. We'll send you custom invoice. Qualified participants can receive certification for an additional fee, as above. 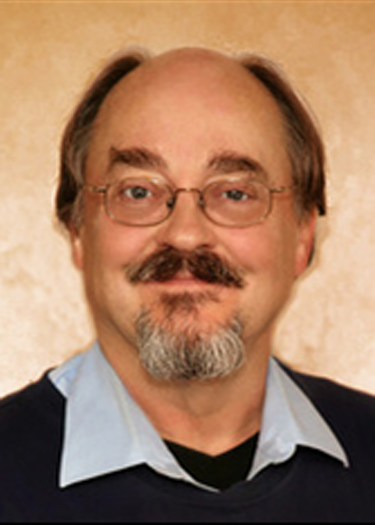 David Quigley, BA, CCHT has been a leading professional in the field of hypnosis therapies for almost 35 years. He has traveled widely to teach and certify practitioners and mentor the establishment of schools and professional training centers worldwide. Somatic Healing was first developed by David in 1978 when he was crippled with rheumatoid arthritis, chronic fatigue, severe food, pollen, and dust allergies, chronic lung disease and multiple chemical sensitivity. Using the Somatic Healing methods, David restored his own health. Somatic Healing is now endorsed and practiced by multiple therapists around the world as an effective way to complement primary medical care.